Home / The Archives / Which is better to commute with? Which is better to commute with? I’ve used it all, Road, Mountain and Hybrid bikes for my commutes. But which is the best type of by for your commute? I’ll be discussing with you how to determine which bike is right for your situation. I’ve heard arguments that go back and forth how one type of bike is better than the other or how one is faster and of course, the funniest reason, which looks cooler! The first thing to do is figure out if your current bike, whether it’s a mountain, road or hybrid can handle your commute. I know quite a bit of commuters that use all three types, heck even some use a single speed and others a fixed gear (now that’s nuts!). Try out your bike. Go to work, the grocery store, the movies and etc and see if this bike will be comfy enough for long hauls. If you think its just fine, then stick with it, if not then you better listen to the break down on each bike. Great commuting bikes, very durable, sturdy, and heavy! The mountain bike is what I call the work horse of all three bikes. The gear ratio is meant for the rider to go a bit slower than a road or hybrid because it was designed to go over dirt trails, logs, rocks and single track. However, the gear ratio allows the rider to pack on as much gear as they want to haul and it can handle it. The suspension fork, fatter tires and wider rims allow it to easily absorb any of the pot holes you run over or sidewalks you have to jump. Mountain bikes are also great for wet weather riding because if your route gets muddy or flooded, you can still ride the bike through some of the toughest parts of your commute. The only downside of riding a mountain bike for commuting is its weight, fat tires and the gear ratio. There are a few things you can do about the weight such as changing the handle bars, seat post, pedals and the rider. If the weight is a big issue for you, consider dropping a few pounds before exchanging the parts. Besides it’s cheaper. When I dropped 22lbs I found myself faster in my commute and a better climber. In fact I was able to shave off 2 minutes from my commute. I know 2 minutes isn’t much, but if you’re running late, you need all the time in the world! You can also change out your fat knobby tires for some slicks. Those can reduce your rolling resistance and allow you to glide through your commute. There’s not much you can do about your gear ratio unless you start changing out your rings and cassette. But what I found the best way to commute is to have my front rings on 3 and the rear on a 5 or six. This combo makes it easy to pedal yet you’re able to keep up a good pace. What’s a hybrid you ask? Well, it’s a cross between a road bike and a mountain bike. No it’s not a cyclocross, but it’s a hybrid. 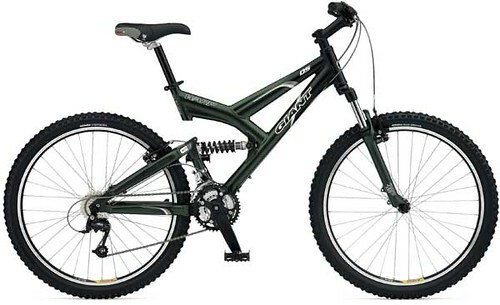 Most hybrids have knobby tires on 700c rims and have a similar gear ratio to road bikes. Hybrids are also great for commuting because they are very comfortable, thus their named “comfort bike.” You’re riding position is almost upright, you’re not leaning forward like a mountain or road bike. Most hybrids come with a suspension seat or seat post, adjustable stem and wide flat pedals. I actually like riding my hybrid because it’s so comfortable. The only draw back is the performance. What I mean is, when you’re trying to beat a light and you need to pump to make sure you go as fast as you can across the street, its harder. The upright position makes it difficult to pump and try and go fast. It takes a bit for you to gain some speed. Road bikes are fun in their own ways, they are super fast and heck, they look cool. But how does it do on a commute? For the most part, they are great. The gear ratio allows you to cut some major time in your ride. It’s fast and did I say it’s fast? What I like the most about the road bike is its speed; I can’t carry too much such as panniers or other gear because road bikes are a bit more fragile than their mountain and hybrid cousins. Some road bikes don’t have the ability to mount racks on the bike which can make it difficult to lug around your dress shoes and slacks without the use of panniers. The only drawbacks I can think of with using a road bike for commuting are the wheels and comfort level. Granted the wheels are strong, but they are more prone to damage from pot holes than their fat tire cousins. Another thing that is a negative is that they are an easy target for thieves. Actually any type of bike is an easy target. Just make sure you use a good lock to protect your bike. Ibex carries a flat bar road bike that is an amazing piece of machinery. The flat bar makes riding a road bike simpler and more comfortable on the long commute. Well, we’ve looked at 3 common types of bikes that we can use for commuting. I didn’t even go over the other types of bikes people do use such as cruisers, foldable, single speed and fixed gear bikes. I figured the discussion on the 3 most popular types of bikes can help you decide which the best for your situation is. Now that you’ve seen all the pros and cons of each type. Its time to figure out which bike to buy. If you already have a bike and are satisfied then don’t pay attention to the article. But if you don’t have a bike, then I hope that this helped you determine which is right for you. Check out our Partner Ibex, they carry a variety of bikes that will suit your needs. I opted for your first scenario: a Specialized Hardrock 2005. The bike is a hardtail, but altogether a fast commuter. Got rid of the big knobs, and put a pair of slicks – Specialized Fatboys 26×1.25 – on the original Sunrims “Ditch Witch”. The Hardrock comes with Avid disk breaks (cable) that bite hard, and cool Marzocchi fork. You forgot about touring bikes. These are road bikes that are made a little bit stronger, in order to withstand long trips in which you carry a lot of gear. They have wider tires (like hybrids), they are usually made of steel, have the capabilities to add all the necessary racks and fenders, have strong cantilever brakes with plenty of clearance, have long chain stays for stability and so your heel doesn’t hit your panniers, and have lower gear ratios for those in poor shape or when you’re carrying gear in your panniers. Most major bike manufacturers have touring models (Cannondale, Fuji, Trek, Bianchi, etc.). I have two commuter bikes, a hybrid and a touring. Both of mine have rear rack mounts, finder mounts, fat tires (700x37c) and super wide gear range (for steeeep hills). I prefer my touring because of drop bars, front rack mounts and a very stable ride, and it’s a little faster (but the front panniers slow me down a little). My hybrid is a ~92 Bianchi Main Street and my touring is a 96 Surly Long Haul Trucker. Being able to mount 4 panniers on my touring bike means I can carry a lot of groceries in the bags and a large bag of pet food over the rear rack on my way home from work and keeping up 15 to 20mph. Isn’t that what it’s about? Wear a Helmet and Get a Free Ice Cream!